The universe in Shortest Trip to Earth is in desperate times: there’s a raging intergalactic space war that has wrecked the far reaches of the galaxy – it’s warfare affecting civilisations and planets alike. You control a lone spaceship and it’s crew trying to return home and it’s up to you how much they will have to sacrifice to get there. A malfunction in your warpdrive left your ship drifting in space for five years, your crew suspended in a cryogenic sleep. As the campaign starts, your ship’s AI has found a route back to Earth, through a dangerous procedurally generated galaxy, filled with hostile space pirates, greedy bandits, and interdimensional monsters. You’ll have to fight through these enemies while managing your crew and resources if you are to stand a chance of returning home – where Earth is (hopefully) waiting for you. Much like FTL, a game I can’t help but compare Shortest Trip to, you will spend your time split between two displays: the solar system screen and the ship interior screen. The map screen is for navigation, showing the solar system spread out before you, dotted with little symbols indicating planets and points of interest – stranded ships, trading posts, and strange deep space objects. Travelling to these points will trigger text vignettes, giving you a flavour of what happened there and often letting you play out a situation – choose your own adventure-style. Every encounter is a potential danger, but the chance of a winning resources is a tempting bait. Also zipping around the system are enemy ships and whenever you collide with one you will switch to the combat display, showing your ship interior. From this top-down view of your vessel you control each of your crew members, directing them to the different ship’s bays – weapons, engineering, medical, etc. You can also target your weapons against the enemy ship, choosing what part of them to blow up first. But beware, pirates can invade your vessel and kill crew members from the inside so you’ll have to prepare for face-to-face combat. Elite Dangerous players are always looking to push the limits of the game's universe. Sometimes they go too far. This is the story of how one player tried to fly out of the galaxy and the rescue team sent to get them home. Besides all the people who want to kill you, the real threat is starvation. 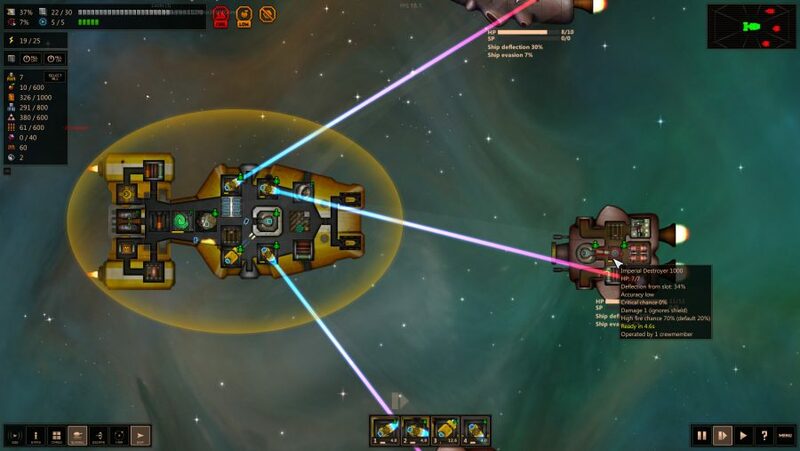 You have a string of resources you need for your ship to run and they’re constantly depleting. 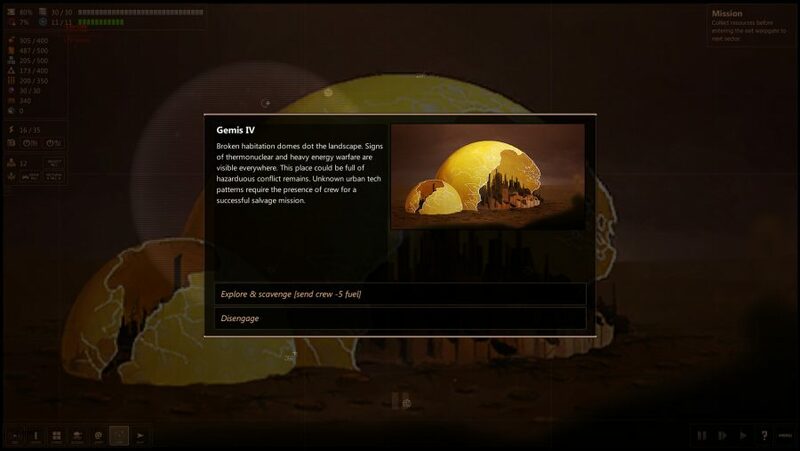 This hunger drives you to explore planets and engage encounters where you can loot supplies. When you have explored all the star systems and want to move onto the next galaxy, you’ll have to overcome an event, which usually involves a big action-packed space battle. Every move and decision in Shortest Trip is stitched with risk. Travelling across open space without stopping for supplies can leave you without food and your crew starving. In one playthrough, I gambled my dwindling stores on reaching a planet where I hoped I could find resources, but all that was waiting for me was a barren desert planet. In this desperate time, stranded in the bleak emptiness of space, I had only one option left: an SOS. Bear in mind, it’s not only Samaritans that answer a call for help, a fuel starved ship with a hungry crew is a tempting prize to bandits. As you wait for a reply – or attack – your ship just floats through space, really capturing the hopelessness of drifting. And, even if you do get lucky with who answers the call, you’ll need something to trade with. I had to scrap every part of my vessel to muster up the trading supplies for the fuel I needed. 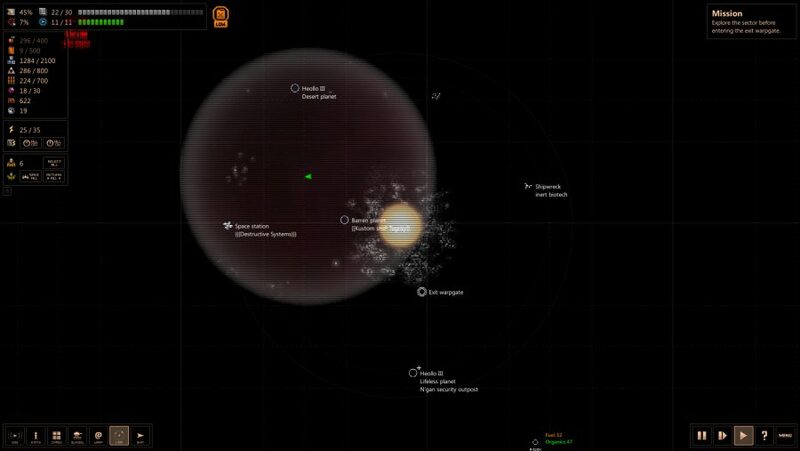 The interface and look of Shortest Trip to Earth may echo aspects of FTL, but Shortest Trip strikes a different tone. 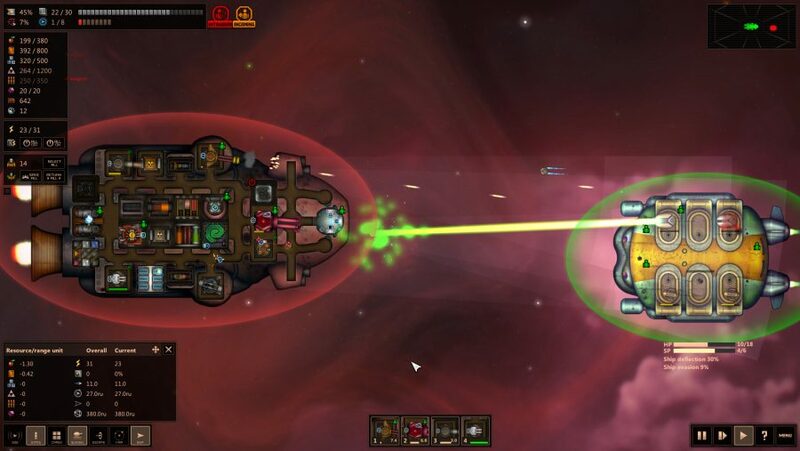 FTL was a game about isolation, whereas Shortest Trip is about personal survival at any cost. You can plunder untainted ecosystems and steal from vulnerable civilisations to keep your crew alive. In one horrific moment, my crew found a cluster of sealed cryopods floating through space. The occupants were dead and, without question, my crew immediately converted the dead bodies into organic matter to be eaten later. The tone continues into the crew’s backstories, don’t expect shiny space cadets fresh out of Starfleet. One member’s description reads: ‘Wendell Tiedermann – a retired mercenary. Retired after first kill in combat.’ Another member, Eloy Lancos, is described as a monk who ‘wants to see death up-close.’ With one line of text, you can get a sense of a character instantly. Shortest Trip is a game that hardens you. Your crew never seem to catch a break. One time I placed some of my crew into cryogenic sleep to save on organic resources but some of them started to have nightmares of hurting loved ones and being captured by slave ships. You can also view a character’s thoughts when they are awake. You can see that that they are missing their family, troubled over a comment from another crew member, or in one instance as I went to check in on my mercenary, Wendell, he was only thinking about one thing: ‘death.’ Charming. It’s these small moments, those few lines of text, that drive the atmosphere in Shortest Trip to Earth. Though, it isn’t a one note game, if you search carefully, explore further into the wreck and ruin of the universe, there are a number of small surprises. My ship had just finished a rough battle and my map showed that a mysterious object was approaching the ship. Praying that it wasn’t another battle, where my crew were sure to die, it turned out to be a colossal majestic space whale, its song giving my crew, and myself a moment of relief. Shortest Trip to Earth has action-packed space battles and tactical management mechanics but what really drives this space sim is that it only needs a few lines of text or beautifully illustrated image to get across a heavy atmosphere of desperation and hope.